This sympathetic mouse character from the 1970 Disney film The Aristocats was animated by my mentor Eric Larson. 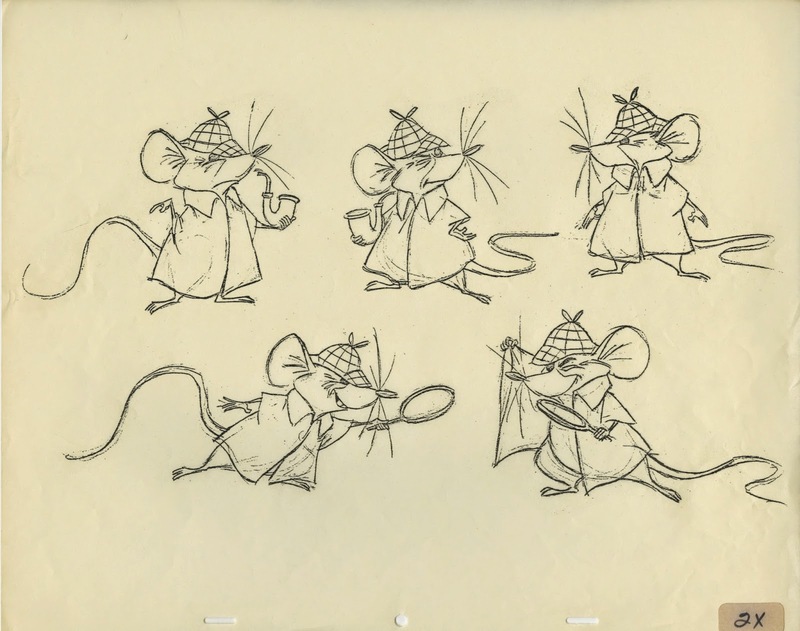 Eric enjoyed one of his last animation assignments, before focusing full time on training new people joining Disney during the late 1970s. 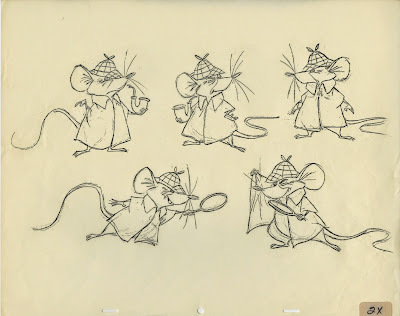 Milt Kahl came up with this early design concept above, heavily based on Bill Peet's earlier concept for the character of Amos from the 1953 featurette Ben and Me. 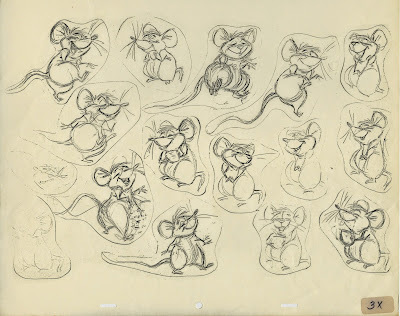 As much a I like Milt's drawings, Eric created a new mouse for Disney Animation, which was certainly a challenge, within a medium full of mice characters. Eric remains one of the most underrated animators. 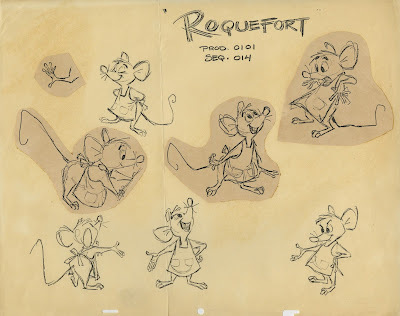 No matter what the assignment, animal crowds on Snow White, the cat Figaro in Pinocchio, Flying Horses in Fantasia, Eric performed these characters believably and beautifully. 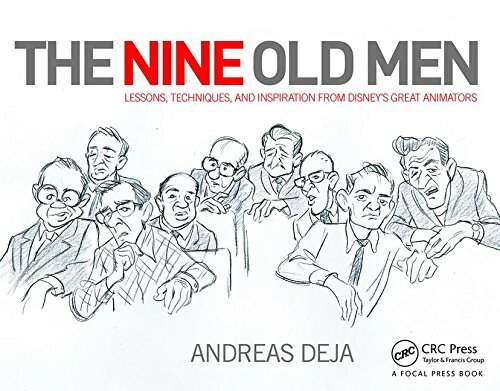 He was a Master animator! !